Expert Advisor is the name given by MetaQuotes to the automated trading robots that are developed in MQL4 to run in the MetaTrader 4 platform. Because of the huge popularity of MetaTrader, the term became very popular with forex traders. 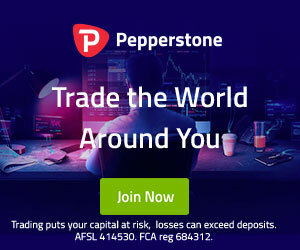 The term is commonly abbreviated to EA and is also used for MetaTrader 5 robots built with MQL5. The term EA is often used in the context of other platforms too. While automated trading robots built for cTrader are known as cBots, traders could call them cTrader EAs. Jargon aside, it’s all means the same thing. cTrader and MetaTrader 4 are fundamentally very different forex trading platforms. cTrader has its own API known as the cTrader Automate API. cTrader bots should be created using C#. Expert Advisors built for MT4 should actually be built using MQL4, which stands for MetaQuotes Language 4. MQL4 is a proprietary language developed by MetaQuotes. It’s said to be similar to C++ but the fact remains, it’s still a proprietary language. MQL5 is also a different proprietary language. The key difference between an Expert Advisor and a cBot is the language used to program them and the platform they were designed to run in. They are both automated trading scripts. Why Convert an EA to a cBot? The main reason a trader would want to convert their Expert Advisor to a cBot is to migrate from MetaTrader 4 to cTrader. The cTrader platform has numerous advantages overt MT4 and more often traders are looking to make the switch. cTrader is faster, it processes orders asynchronously, it’s more transparent showing more parameters per event, it shows level two market data and much, much more. Developers building cTrader Bots benefit from the power of C#. This article is here to help traders and developers get started with their migration. There is an online tool called 2calgo.com. While the developer of this tool remains anonymous, they have deposited the source code for this conversion tool to GitHub for anyone to take over the project and develop it further. According to a remark on the site 84% MQ4 indicators and 82% MQ4 robots are supported. You should not simply copy and paste your cTrader Bot script into cTrader Automate and run with it. The results should be checked carefully to be sure you got what you expected. This method is not very highly recommended except for experimenting with. But it’s a good tool worth knowing about. One of the most effective methods to convert your EA to a cBot is hiring a specialist to do the job. You may think you could just pick up any freelancing developer who knows C# and C++, but you would be mistaken. The developer should know MQL4, which as we mentioned earlier, is a language of its own. Also, the developer should know the trading functions from the Expert Advisor to be able to locate them in the cTrader Automate API library. And finally the developer you have chosen to work with needs to build the cTrader script in C#. Instead of finding a freelancer on a generic freelancing website, post your requirements on the cTrader jobs board and get a quotation from one of the developers who are active in the cTrader community. As well as the jobs board, the cTrader website has a list of verified consultants. These consultants have been approved by Spotware and are promoted on the site. 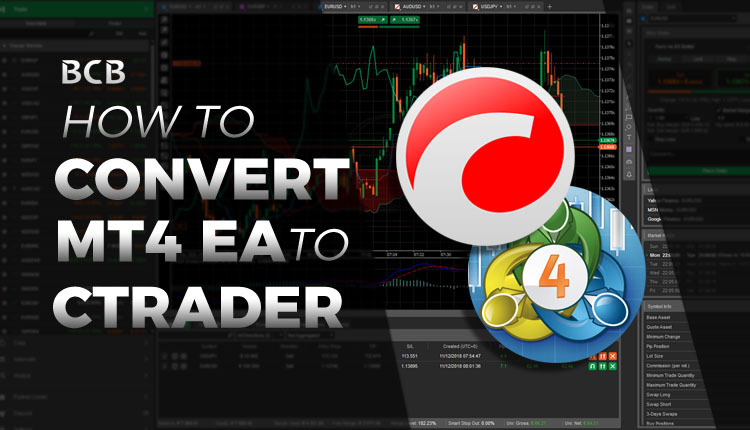 Not only can these developers convert your EA to cTrader, but they can also automate and trading system you want. One of the most prominent developers in the cTrader community is ClickAlgo. Not only can they develop custom trading robots for cTrader and covert your MT4 EA to cTrader, but they also have a number of packaged cBots and indicators available for purchase. The great thing about getting a ready-made cBot is that they are far more affordable than getting one built especially for you. We highly recommend checking out the ClickAlgo e-shop to buy a cTrader bot (cBot). Perhaps it’s time to roll up your sleeves and learn how to build your own cTrader bot on cTrader Automate. If you already thought yourself MQL4, then you will definitely be able to work with C# and the cTrader Automate API. Considering the significant advantages the cTrader platform can offer, it’s a skill you should invest some time into. C# is a far easier language than MQL4 or MQL5. Knowing C# can be transferred to other practical uses too as it’s a programming language used by millions of developers around the world. Don’t forget, if you ever get stuck you can seek the support from the cTrader community.